His practice focuses on all areas of criminal law, specially in complex litigation of white collar crimes, anti-corruption, money laundering, fraud, industrial and intellectual property crimes, criminal liability claims related to negligence, conflict solving, crisis management and compliance matters regarding criminal responsibility of legal entities. Graña y Montero (G&M) and Adexus on three arbitration processes initiated by Sistemas y Redes, Asesorías e Inversiones Busso and Carlos Busso (shareholders and former sole owners of Adexus), for declaring the unenforceability and nullity of the acts that led G&M to acquire 91% of Adexus, including indemnification of damages for USD50 million which ended on a deduction of criminal actions on both sides, reaching a favorable agreement for G&M which involved the acquisition of 100% of Adexus and the withdrawal of all actions against them. Liberty Mutual International on the acquisition of Compañía de Seguros Generales Penta. Carey designed and conducted the compliance and anticorruption due diligence, including the review and analysis of the target’s compliance program, policies and controls relating to anti-corruption, money laundering, terrorism financing, etc., as well as the review and assessment of ongoing investigations and other enforcement actions involving the target’s controllers. Carey also drafted and negotiated the Stock Purchase Agreement’s anticorruption provisions, including all the relevant representations and warranties, indemnity rights, etc. A real estate company on the design, development and assistance in the implementation of a tailored compliance program for one of the largest multinational Chilean-based construction and real-estate holding. After conducting an in-depth assessment of the holding’s businesses and activities, we designed a comprehensive compliance program abiding by both mandatory anti-money laundering and terrorism financing obligations under the Chilean Intelligence Unit, plus all controls under the Chilean Corporate Criminal Liability Act. VTR Global on the creation of a comprehensive compliance program aimed at preventing corruption, money laundering, terrorism financing and other similar offenses. Amcor Flexibles, a global leader in responsible packaging solutions, on the acquisition of Alusa, the largest flexible packaging business in South America with manufacturing operations in Chile, Colombia, Peru and Argentina, for USD435 million. Carey conducted a compliance/anti-corruption pre-closing due diligence by means of assessing the target’s compliance program, and all available policies and controls related to anti-corruption, money laundering, and terrorism financing. The local subsidiary of one of the largest corporations worldwide on the risk assessment of the client operations, to adjust its global compliance program, mitigating its exposure to risks of bribery, money laundering and terrorist financing. The Chilean branch of a multinational pharmaceutical corporation on an on-site review of their local compliance program, including all applicable global anti-corruption policies and controls; existing local measures; as well as development of anti-corruption templates, tools, trainings and other materials. Several national and multinational companies on the defense of the company regarding investigated crimes of corruption in relation with criminal liability of legal entities. Several multinational companies before the Public Prosecutor’s Office and Criminal Courts regarding investigated crimes of fraud against the company committed by its own employees or third parties. Several multinational companies before the Public Prosecutor’s Office and Criminal Courts regarding investigated crimes of corruption and fraud in public and private bids. A multinational education group on its defense before the Public Prosecutor’s Office regarding bribery, money laundering, incompatible negotiation, tax offenses, among others investigated crimes. Several multinational companies before different Public Prosecutor’s Offices in Chile and Criminal Courts regarding criminal investigations that infringe the Chilean Industrial Property Act. Recognized in Compliance, Chambers Latin America. Professor of Procedural Law, Universidad Alberto Hurtado (since 2007). Professor of Criminal Litigation, Universidad Alberto Hurtado (since 2015). External Auditor Head Attorney for the IV region (2006), VI region (2008) and national level (2014), Public Defender Office. Professor of Procedural Law, Universidad San Sebastián (2015). Assistant Professor of Criminal Procedural Law, Universidad Gabriela Mistral (2005-2015). 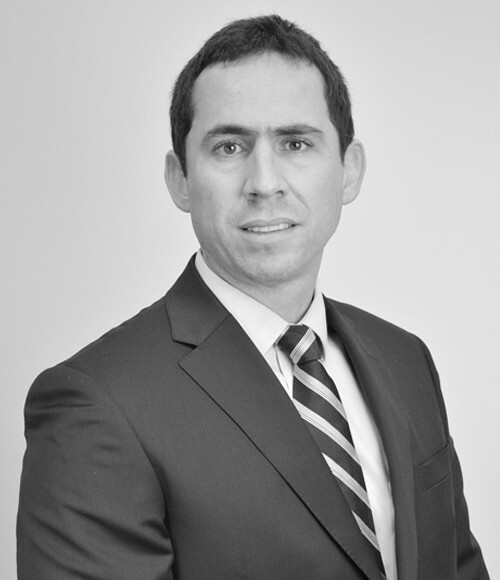 Member of the International Insurance Law Association Chile (AIDA). Degree in Criminal Litigation in the new criminal procedure, Universidad Diego Portales (2004). Degree in Criminal Procedure Law and Litigation, Universidad de Chile (2005). Degree in Criminal Law, Universidad Católica de Chile (2006).